There's now just days to go until Strictly Come Dancing 2018 officially kicks off, and we welcome the celebrity contestants to the ballroom for the very first time. So far, it’s likely that the famous faces have been quaking in their boots about taking to the famous Strictly dancefloor. But behind closed doors, they’ve been training and preparing as hard as possible in order to make the best first impression, alongside their professional partners. But what dance will they be dancing – and more importantly, what songs will they be dancing to? The song and dance list for the very first week of Strictly has now been officially confirmed, and it looks as though we can look forward and get ready for a very exciting first week! The pairs are tackling a range of classic Strictly dances – but it looks as though the Cha Cha Cha is by far the most popular option, with four out of 15 chosing it as their first dance. 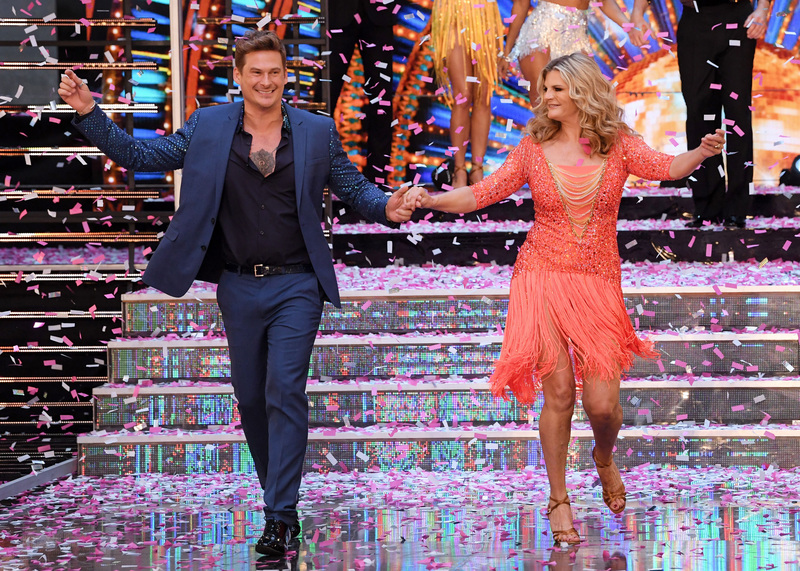 Another favourite appears to be the Waltz, which Katie Piper and her partner Gorka Marquez, Lauren Stedman and AJ Pritchard, and Lee Ryan and Nadiya Bychkova will be taking on. Danny John-Jules and his partner Amy are the only ones who will be tackling the Foxtrot in week one – while Seann Walsh and the reigning champion Katya Jones are the only pair to dance the Tango on week one. Anton and Susannah will be trying their hand at the rumba, while Stacey Dooley and Kevin Clifton will be dancing the quickstep – a fun and fast-paced option for week one! And the song selection appears to be just as diverse, ranging from current pop hits such as Perfect by Ed Sheeran featuring Beyonce, and Lullaby by Sigala and Paloma Faith, to older classics such as How Will I Know by Whitney Houston. Retro songs such as Take On Me by A-Ha will also be featuring in Joe Sugg and Dianne’s dance, while viewers can look forward to the hilarious tune, Tico Tico by Carmen Miranda, in Kevin and Stacey’s dance. Strictly Come Dancing continues on 22nd September, at 6.15pm on BBC One.